Top-loading, locking, wall mount parcel mailbox made from from strong powder coated steel. 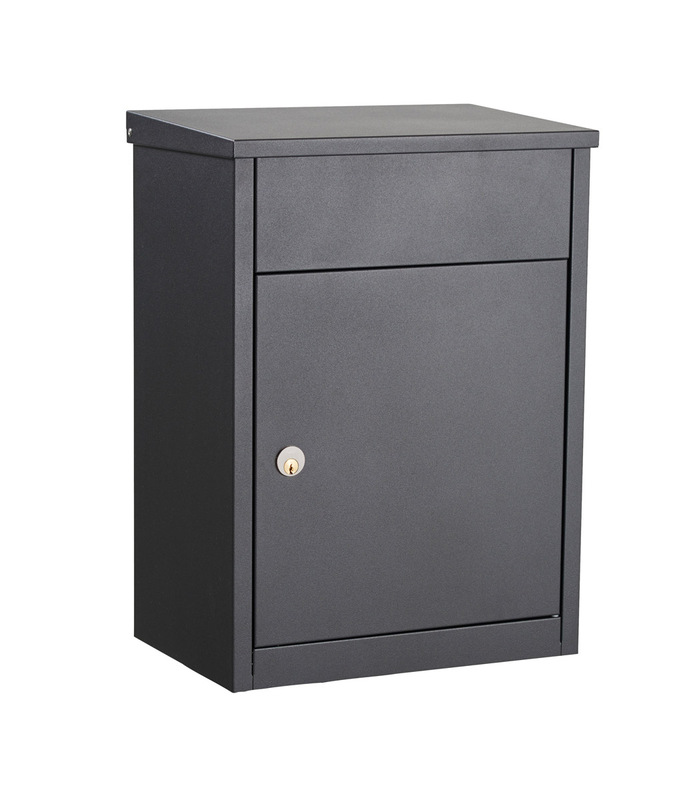 Secure drop box with hinged security door that prevents unwanted access to delivered mail. Parcel opening: 10-1/4" x4" x11"
Mailbox Size: 15" x 20-1/2" x 10"